Reputation.ca is Canada’s leading digital public relations company offering software and services to help people and businesses improve their reputations on search engines, social media and review sites. In today’s digital-focused environment, how real estate executives appear online to potential clients, colleagues and business partners is vital to professional success. Supported by more than 7 years of experience in online reputation management, our company is an expert in building authentic, convincing and high-quality online reputations and is the leading industry expert in strategically improving Google.ca search results. 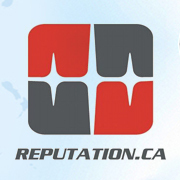 Reputation.ca is centred around the values of professionalism and transparency; each of our campaigns is closely monitored using our proprietary Reputation Management Software, a tool that provides a clear, accurate view of how Google search results change over time.